Here is the final version for Structo, really enjoyed working on this one and very pleased with the result as well. 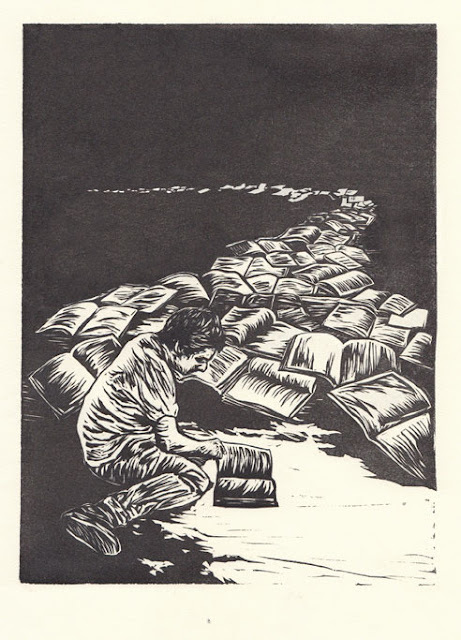 Linocut to go with a very poetic short story called 'The Incidental' in Structos next issue on the addiction of collecting books. Thanks! haha I have no idea where from!